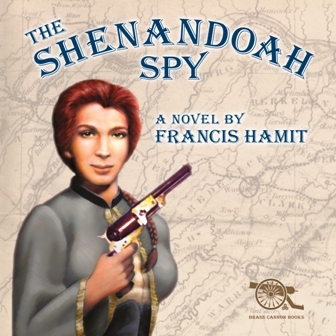 Editor’s Note: Francis Hamit, who self-published his Civil War espionage novels The Shenandoah Spy and The Queen of Washington, contributes insight pieces about the strategies and emerging technologies he uses to market his books. By Francis Hamit: Here is a link to the audiobook edition of The Shenandoah Spy. Not really science fiction, I know, but the fact that we were able to produce this in six weeks with two very talented and professional narrators should be of intense interest to any File 770 readers who have a novel they want to sell. Kindle editions are easy, but this requires the collaboration of one or more narrators who can also produce a professional sound file for download. We did this through ACX.com, a unit of Amazon.com, on a royalty share deal that gives us and the narrators between 50% and 90% of the sales price. We did four short audiobooks last year, but a full length one of a very different experience. Gail Shalan and her colleague John Zdrojeski made the text come alive and helped me tell a great story. It’s 14 hours and 40 minutes long at the very reasonable price of $24.95. Of course, those who don’t want to pay that much can sign up for Audible.com’s club plan and buy it for $7.49, or just read the original book which is $22.50 or the e-book, which is $16.99. This entry was posted in Like Show Business and tagged Amazon, Audible.com, Francis Hamit by Mike Glyer. Bookmark the permalink. It’s already on sale at Audible.com. Not sure why, but not going to object.